The 1912 discovery of cosmic rays by physicist Victor Francis Hess showed that radiation of extraterrestrial origin permeates the Earth's atmosphere. After determining that ground-based radiation would fade to negligible amounts of measurable ionization at about 500 feet above the Earth's surface, Hess conducted his experiments by ascending into the sky tethered to a helium balloon. He made a total of ten daring ascents to heights of about three miles, accompanied by instruments he had designed to withstand the rigors of temperature and pressure changes in the upper atmosphere. His experiments showed that after ionization's expected decline as the ground receded into the distance, it began rising again, reaching levels that increased with the balloon's height to several multiples of the ionization measured at the surface. An ascent made during a solar eclipse showed the same findings, so Hess concluded that the atmospheric radiation was not being broadcast from the Sun, but from outer space itself. Most experts in the field scoffed at his findings until after World War I, when additional research backed Hess's conclusions. 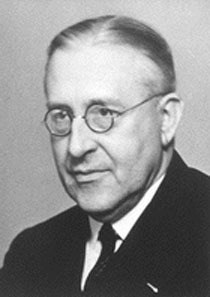 In a 1925 paper written by Robert A. Millikan, the radiation Hess had discovered was given its present name, cosmic rays, and in 1936 he was awarded the Nobel Prize for Physics. Because he was Catholic and, doubly worrisome to the Nazis, his wife was of Jewish ancestry, Hess was banished from scientific work in 1938. While he pondered what to do next, a sympathetic Gestapo officer came to his home to warn that the names of Hess and his wife were on a list of Austrians to be rounded up and taken to the concentration camps. The Hesses escaped to Switzerland but were forced to leave their worldly possessions behind, and came to America with the equivalent of $10 to their names. Hess worked at Fordham University for the rest of his career, and became a US citizen in 1944. In 1947 Hess and geologist William T. McNiff developed an "integrating gamma-ray method" for detection of radium in the human body.